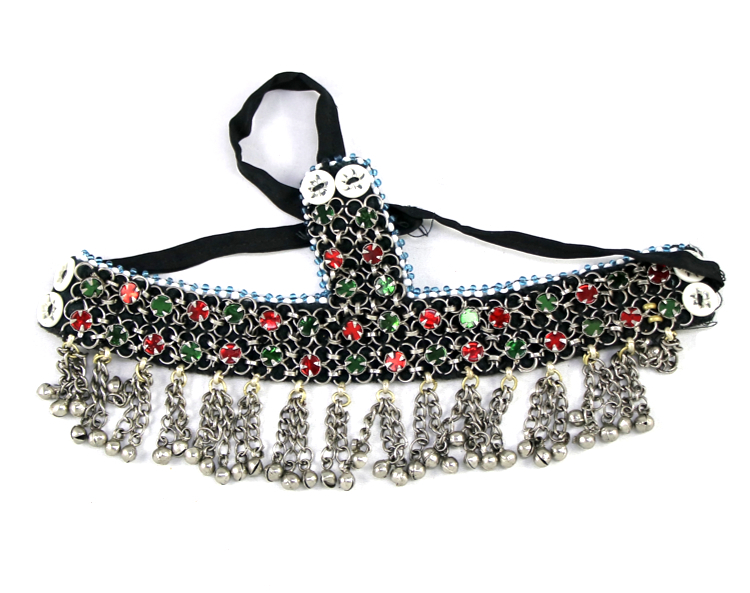 Complete your ATS or Tribal Belly Dance costume with this authentic headpiece. 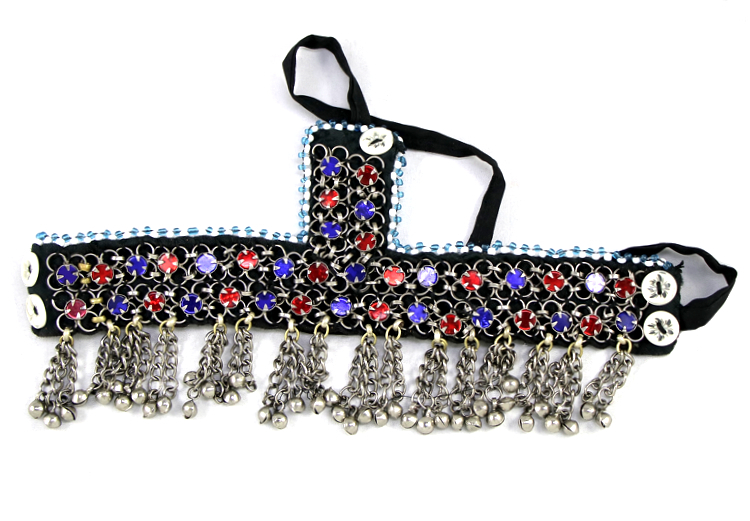 This Beaded Kuchi Afghani Headpiece with Bells will complete your ATS or Tribal Belly Dance costume! 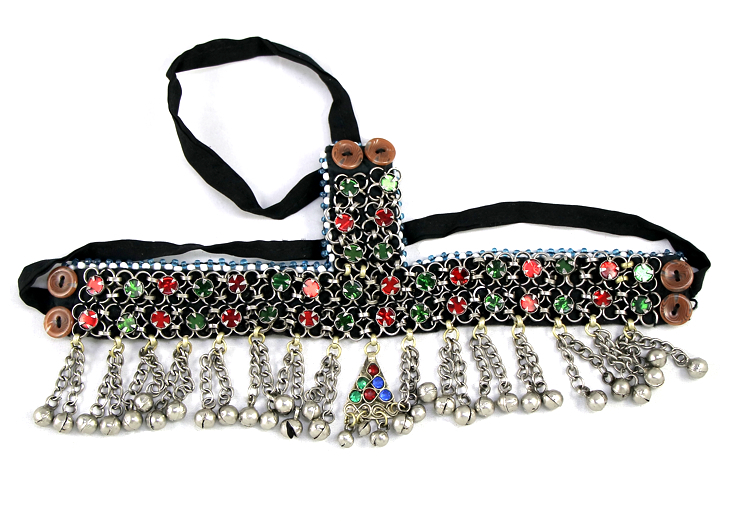 Afghani kuchi piece with resin "jewels", beads, and chain tassels with bells; fabric bands hold it in place on your head. 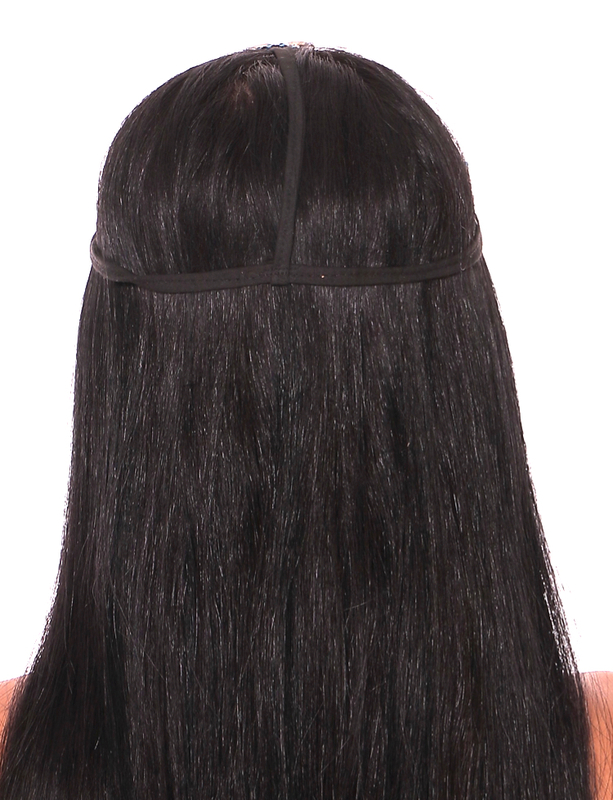 Made in Pakistan. STYLE 1 - Green and Red resin jewels with small triangle pendant. STYLE 2 - Green and Red resin jewels, NO pendant. STYLE 3 - Royal Blue and Red resin jewels, NO pendant.